Do you believe in true love? How far would you go to find your first true love? Would you know if it was him or her right there then or would you wait for 50 years just to realize that he or she was the one that got away? We all want to believe that true love exists out there. In fact, we all want to have one that we don't end up losing. We all end up denying it in the end because we think that true love is just a word of mouth or a cliche that's definitely overrated. However, there are still many hopeless romantics out there that feel the same way that I do. I may be a skeptic when it comes to love at first sight or even destiny but I still want to believe that true love exists. I am hanging on to my faith despite the signs around me that tell me it doesn't. In the movie, Letters To Juliet, Amanda Seyfried plays the role of Sophie who works as a fact checker for a New Yorker magazine. She is engaged to her workaholic chef boyfriend named Victor who invites her to go on a pre-honeymoon trip to Verona, Italy for a week. But as her boyfriend quickly turns their supposed to be pre-honeymoon trip into a business trip by spending his time researching about things related to his soon to open restaurant, Sophie decides to just do things on her own. The first place that she goes to is Casa La Guilleta (Juliet's House) which to her surprise was a popular tourist spot especially for men and women who want to write to Juliet to seek love advice. 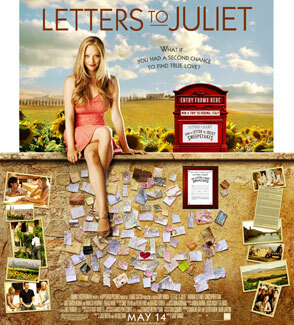 She later finds out that a group of women collects the love letters addressed to Juliet and writes back to all the people who wrote to her. At first, Sophie thinks of simply writing about the situation and thus, not really getting involved with the process but eventually, destiny stirs her elsewhere. 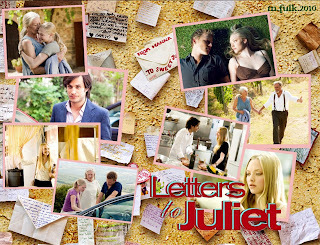 After another day with the so called secretaries of Juliet, she finds herself drawn to a single letter that was written 50 years ago by an English woman named Claire. She wrote a letter asking whether she should have stayed with her first true love, Lorenzo or not. Sohpie felt compelled to write back to Claire even if she knew that she might not be able to get it anyway. Luckily, she did and so, Claire decides to travel to Verona, Italy with her grandson, Charlie, to find her long lost Lorenzo. Arriving in Verona, Charlie seeks the secretaries of Juliet to confront the person who made his grandmother go on a wild goose chase. Charlie then finds out that Sophie wrote the letter to his grandmother and they immediately dislike each other after that. Charlie disapproves of her grandmother looking for Lorenzo because he is a realist and he doesn't believe in true love. To him trying to find his grandmother's first true love is simply absurd and a total waste of their time. As Charlie is about to leave with Claire, Sophie decides to make her presence known and introduces herself. She then invites them to dinner so that Claire could meet the rest of the secretaries of Juliet. After that, Claire decides to rest and start looking for Lorenzo the next day. Curious, Sophie decides to tag along. Claire didn't seem to mind her being around but Charlie did and it both made her and him uneasy. As the movie progressed, the three of them scour the different places in Verona where supposedly different Lorenzo Bartollinis live. Only Claire knew who he was and what he looked like but Charlie and Sophie still did their best to keep up. Many things happened in their journeys and as Sophie continued to spend more time with Claire and Charlie, she realizes how much she doesn't miss Victor. Victor, on the hand, seems to be enjoying himself while attending some wine auctions in a different place in Italy, without even bothering to send a message or call his beloved. Sophie realizes that's something wrong and things get even more complicated as she gets involved with Charlie. On the last day of their search, Claire decides to visit the vineyard that she and Lorenzo went to 50 years ago. She then sees a young man there who looked exactly like her Lorenzo. She asks Charlie to stop the car and as they all descended from the car, they asked him if he knew Lorenzo Bartollini. Claire knew she has found the one but at the last moment, gets scared and decides to go back inside the car but as she hears a horse approaching, she turns around and sees a dashing old man approaching to meet her. She knew it was him. He knew it was her. After long moments of staring at each other and saying sweet things to each other, they decide to embrace. Charlie and Sophie smile as Claire has finally found her long lost love. Sadly, it also meant that Sophie had to go. She says goodbye to Claire, Charlie and Lorenzo and goes back to her hotel in Verona where Victor is waiting for her. After she left, Charlie felt like she needed to tell her how he felt and decides to follow her to Verona only to see her locked in an embrace with Victor. He turns his back and leaves. As they say, love moves in mysterious ways and so it did for Sophie and Charlie. I guess it just never really moved fast enough for them to realize that they were destined for each other. It was sad that I never got to watch this movie in a theater but that's okay. It would have been embarrassing to have cried many times while watching the film there. Besides, my partner wouldn't have enjoyed it anyway. 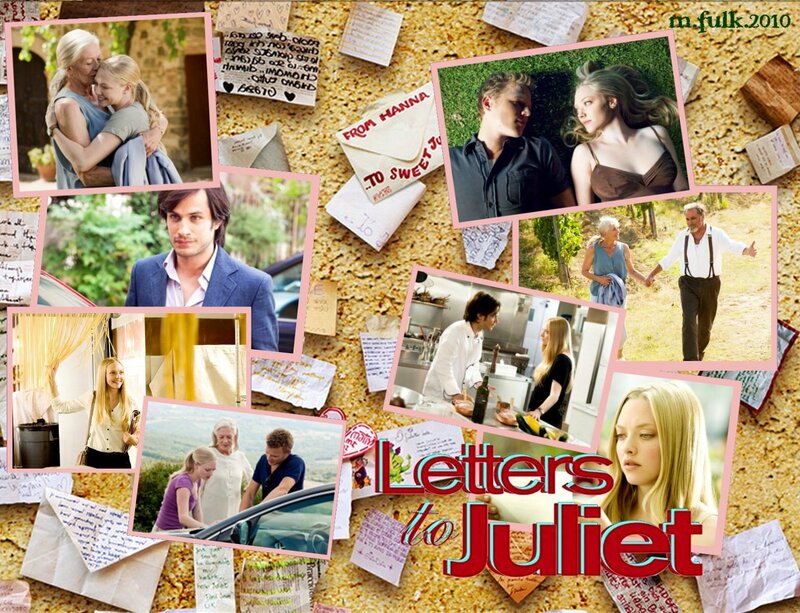 Now, I am curious if there truly is a place where all those people post letters addressed to Juliet and I wonder if the secretaries of Juliet are real. What an interesting thought! When my friend was pouring her heart out about this movie she mentioned the "what if" quote and I understood just how hard it was for her to watch this movie. I thought it was sweet and I plan to write an offshoot story for T.O.P. about this movie or something similar to the concept. But the thing with this movie is that it fits into the fantasy then makes it believable enough. So many women have been easily disheartened to give love a chance. I bet this is the second worst movie to make you boyfriend watch. Ahahaha. But it's great. I am sure my crybaby ne sarang would cry because of this movie. I would not tolerate that in a cinema. But it's an "awww" movie.